How to use the Technical Library: This library is designed as a starting point for further investigations. Each category, eg. ‘Background’, has several topics. Each topic has a general description then a reference that you can use to acquire the relevant source document. Most source documents are under author copyright hence the use of a citation only. References to the BioActive Traditional Herbal Medicine Evidence File are categorised into conditions and diseases. The symptoms are summarised and coded for ease of reading. Khaya senegalensis (Desr.) A.Juss., a member of the Meliaceae family, is commonly known as dry zone Mahogany. A medium sized, evergreen savanna tree that typically grows 15 to 30m in height and 1m in diameter, characterized by its dark, shiny pinnate leaves, round fruit capsules up to 10cm in diameter, its dark grey, sometimes scaly bark is deep red coloured on the inside. 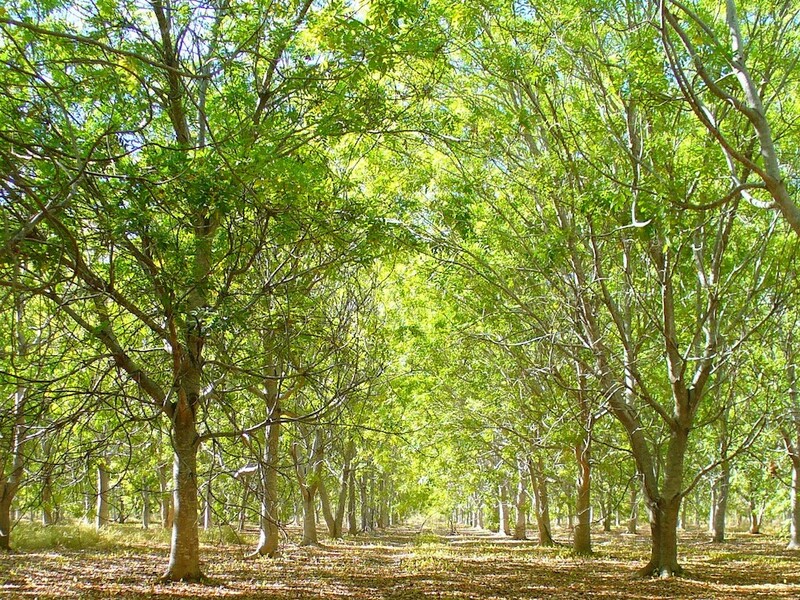 The trees pictured right are the Australian medicinal Khaya senegalensis trees. They are sustainably harvested and certified organic. It is now extremely rare, largely due to land clearing practices. It was listed as vulnerable on the International Union for Conservation of Nature and Natural resources (IUCN) Red List of Threatened Species over 20 years ago. Since then land clearing in Africa has intensified, almost wiping out the species completely in the wild. Australia, thanks to the research efforts of the Australian Federal Government research agency CSIRO and state governments’ departments of agriculture since the 1960’s, Australia is now the largest grower of pristine medicinal-grade Khaya senegalensis in the world. The evidence for Khaya senegalensis, traditional and scientific, points to a botanical that eliminates ‘bad’ bacteria (2-5,12,23) and fosters an environment where ‘good’ bacteria can thrive. It does this by providing protective anti-inflammatory and extremely high antioxidant activity (3,9) together with ‘good’ gut bacteria food in the form of pre-biotic polysaccharides. All provided within its diverse polyphenol-rich chemical profile (22). Khaya senegalensis through both cellular and animal studies investigating extracts of both the leaf and bark has demonstrated that oral and topical administration results in significant anti-inflammatory and analgesic effects. Anti-inflammatory activity was demonstrated to be significant in the inhibition of cyclooxygenase (COX) enzymes, in particular COX-2 (9,18). Khaya senegalensis has also been shown to inhibit inflammatory pathways mediated by Free Radical ABTS, Caspase 3, AKT1, MAPK3 and EGF receptors (9,18). Animal (rodent) studies of the aqueous bark extract have also demonstrated significant antinociceptive activity and suggest that this effect is mediated, both centrally and peripherally, through stimulation of opioid receptors (3,8). Khaya senegalensis introduces the potential for longer living neuronal cells. With neurodegenerative disorders such as Alzheimer’s and Parkinson’s, the key mediator responsible for neuronal cell death is Caspase-3(21). Several independently commissioned laboratory studies on Khaya senegalensis bark have reported extremely high Caspase-3 inhibition(9). 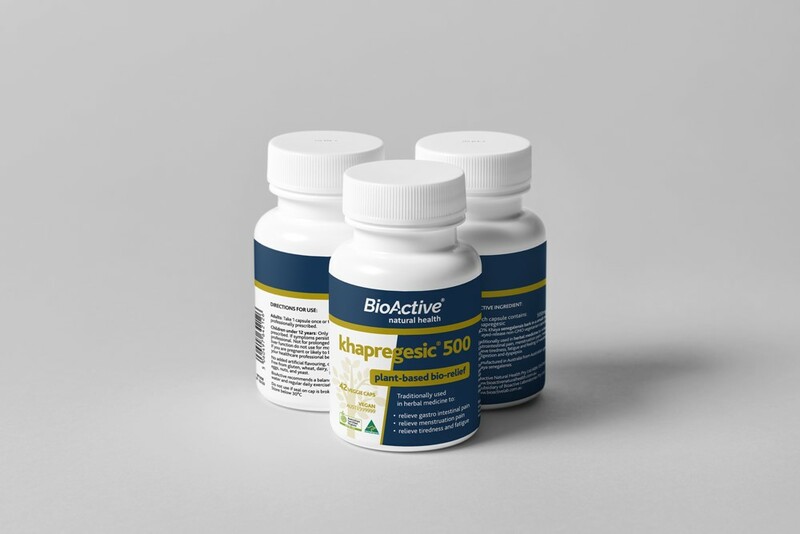 Notably, Caspase-3 inhibition was recorded at the extreme levels of 97%(18), 97%(19) and 95%(20) in three independently commissioned assays on three separate occasions. The 95% score – diluted from 100µg to 30µg denoting potency maintained at drastically lower doses. Several natural anti-inflammatory drugs have been identified in plant extracts used in traditional medicine for the relief of pain, fever and inflammation. In the past few years, the mechanisms of some of these natural compounds have been partly elucidated, and they are now being reconsidered for treatment of chronic inflammatory and neurodegenerative diseases. In most cases these drugs work by inhibiting the transcription of COX-2 rather than its activity(25). This study confirms the Independently commissioned laboratory studies on Khaya senegalensis bark that reported extremely high levels of COX-2 inhibition at 95% and extremely high ABTS Radical Antioxidant score at 95%(18). It also confirms the strong anti-inflammatory activity when compared to the four popular NSAIDs of Hydrocortisone, Diclofenac, Dexamethasone and Indomethacin(3). Author: Adjanohoun, E., V. Adjakidje, M.R.A. Ahyi, K. Akpagana, P. Chibon, A. El – Hadji, J.Eyme, M. Garba, , J. – N. Gassita, M. Gbeassor, E. Goudote, S. Guinko, K. – K. Hodouto, P.Houngnon, A. Keita, Y. Keoula, W. P. Kluga – Ocloo, I. Lo, K. M. Siamevi, K. K.
THM01 Studies 3-25 form part of the extended BioActive Traditional Medicine literature review dossier under copyright. The complete dossier may be viewed under licence. THM02 Studies 3-7,9 form part of the extended BioActive Traditional Medicine literature review dossier under copyright. The complete dossier may be viewed under licence. THM03 Studies 1-3,5-10,12-14 form part of the extended BioActive Traditional Medicine literature review dossier under copyright. The complete dossier may be viewed under licence. THM04 Studies 1-2 form part of the extended BioActive Traditional Medicine literature review dossier under copyright. The complete dossier may be viewed under licence.